Rather than depend on photo filters or heavy concealers to hide your skin concerns, consider a lasting solution with excel V™. Love taking selfies but wish you didn’t have to fall back on photo filters or heavy concealers? We all want to look good in pictures, but skin imperfections such as facial redness, blemishes, discolouration, and scarring can make us feel less confident. Here’s how excel V™ can help! Cutera excel V provides precision laser treatments for today’s most common aesthetic and dermatologic skin concerns to quickly give you a clean, #nofilter complexion. Don’t just cover up. Don’t just diminish. Eliminate with excel V™! Most treatments take just a few minutes. Q: What are the benefits of excel V™? For most procedures, excel V™ provides quick treatments with best results within just a few days. Most procedures only take 5 to 10 minutes, but some may take up to 45 minutes. Most treatments require only one to three treatment sessions. The number of treatments will vary based on your condition and you will be advised during your consultation. Your excel V™ licensed skin and laser practitioner will discuss a customised treatment plan during your initial consultation. Excel V™ treatments can feel similar to a rubber band snapping against your skin. Depending on the procedure, a cooled treatment tip will be in contact with the skin to protect and provide comfort to the area. A topical anaesthetic may be available to improve your treatment experience. Q: Are there any side effects? What about downtime? Redness and/or swelling can be expected following treatment and will resolve within a few days. Treated brown spots will darken and slough off within 3 to 10 days. For full face treatments, swelling will peak 24 to 48 hours post treatment and usually resolves within a few days. Typically, you can wear make-up and return to normal activities immediately. Your skin practitioner may recommend a topical cream to reduce swelling as needed. Q: What is excel V™? Excel V™ is the most advanced aesthetic technology that combines two powerfully precise lasers to target and eliminate vascular concerns (redness, unsightly veins) and benign pigmented lesions (age spots, sun spots, discolouration) on the face and body. Q: What does excel V™ treat? 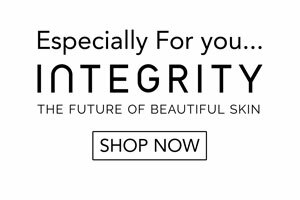 Excel V™ treats nearly twenty unique aesthetic and dermatologic skin concerns. The most common excel V™ treatments include rosacea, facial and leg veins, age/brown spots and acne scars. Q: How does excel V™ work? Your laser practitioner will select one of excel V™’s two lasers and customise the treatment settings to target the colour and depth of your skin facial redness, age/sun spots and leg veins.